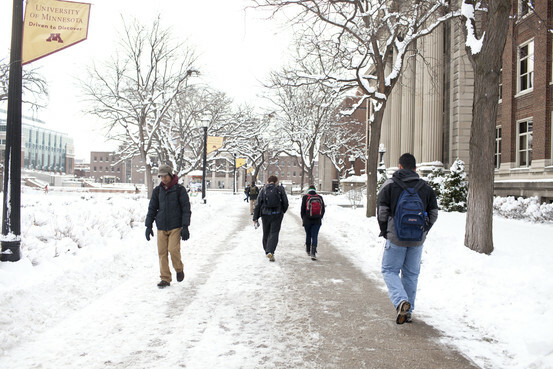 Students walk through campus at the University of Minnesota. 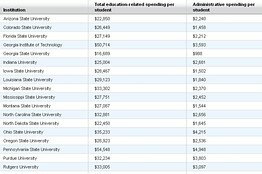 Compare the amounts spent on all education-related expenses per student in 2010-11 and how much of that was for administrative costs at 72 public universities with high research activity. 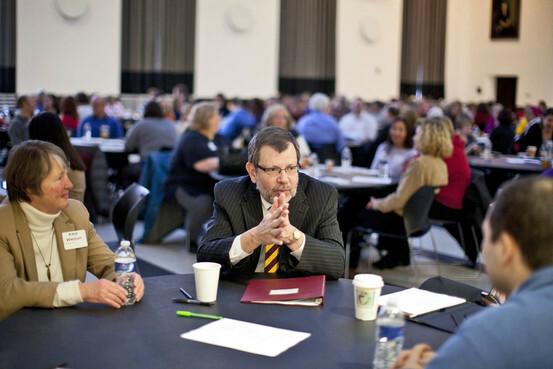 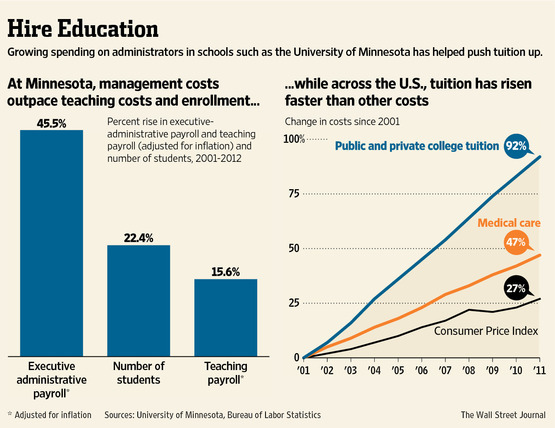 A series looking at the rising costs of higher education in the U.S.
University of Minnesota President Eric Kaler, center, is tackling costs. 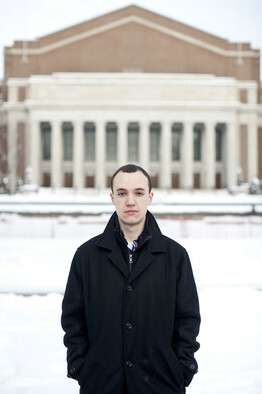 Sophomore Gregory Kiss saves by finding events with free food. 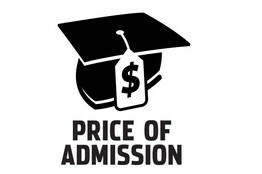 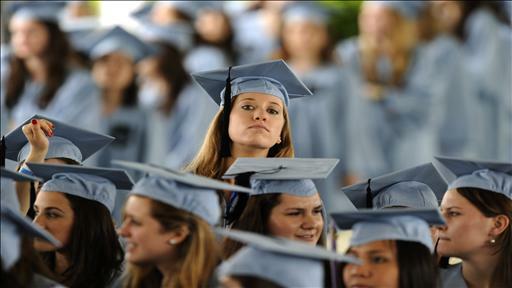 A version of this article appeared December 29, 2012, on page A1 in the U.S. edition of The Wall Street Journal, with the headline: Deans List: Hiring Spree Fattens College Bureaucracy—And Tuition.